The title might be dull, but this Indonesian film is far from boring. This isn't just a raid, this is the raid. The plot is a simple one - a young, fresh-faced police squad are sent into a high rise block to kill its ruling crimelord. But who is behind this operation? And once inside, will the squad be able to escape? This twists and turns aren't complicated or particularly satisfying, but it's the action rather than the narrative that thrills. The Raid is jam-packed with brutal violence: thugs and policeman are shot, stabbed, thrown and battled in a flurry of kung-fu. The fight choreography is impressive for its fluidity and speed as well as its inventiveness - with no CGI involved, this is pure human skill. Evans's dynamic camerawork swoops and shifts with every blow, every axe swing and every slow-motion bullet piercing flesh and skull, creating one hell of a visceral experience. The high-rise flat is a suitably hellish environment - at first seemingly desolate and deserted, thugs soon crawl out of every room and hallway like ants awaiting a deathly end. The dusty, dilapidated interior is merely a blank canvas for the sweat and blood that splatters onto every surface, hitting our ears as much as our eyes with each grunt, slice and bang. A techno soundtrack accompanies the fights to ramp up the excitement, but elsewhere the film is drenched in deafening silence that truly heightens the tension. If you're after an intelligent thriller, you won't find it here. 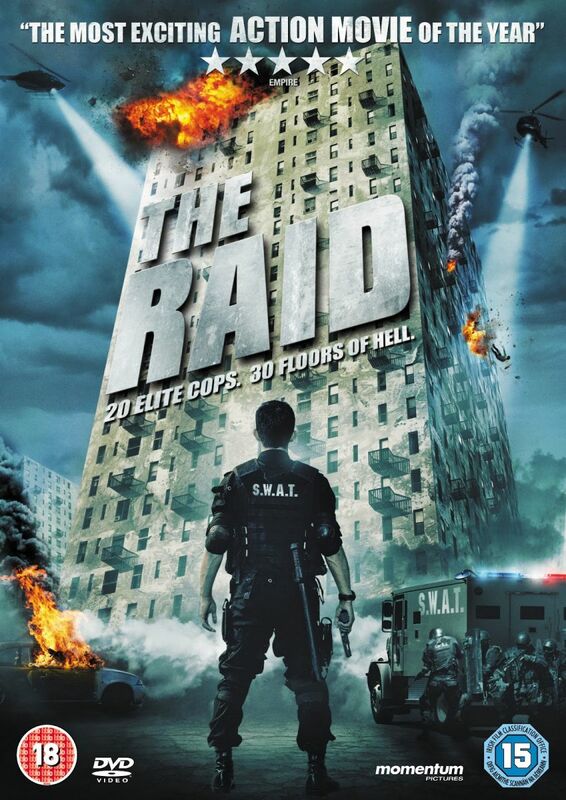 Instead, The Raid is an intense, awesome masterclass in action.